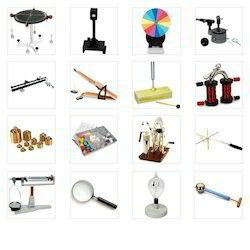 Advanced Technocracy Inc. is Manufacturer, Exporter & Supplier of Young's Model Apparatus. - Two metal frames are connected by a pivoted link which also carries a spirit level. 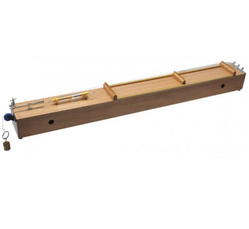 - A micrometer head reading to 0.01mm is provided to re-adjust the spirit level. - Basic Movement: 5mA - 100mV F.S.D. Plastic Rod-BLength approximate 30cms and 12mm dia.Ebonite Rod-CLength approximate 30cms and 12mm dia.Glass Rod -DLength approximate 30cms and 13mm dia.Perspex Rod-EHighly finished length approximate 30cms and 12.5mm dia.Compound Rod-FHalf glass , half brass length approximate 30cms and 13mm dia.Compound Rod-GHalf ebonite , half brass length approximate 30cms and 12mm dia. Glass Agencies EROSE are Manufacturer of Jaggar. - Digital DC Voltmeter to measure the voltage across the diode. - Highly stabilized variable D.C. power supply ( 0 - 2Volts). It is fly wheel with counter.